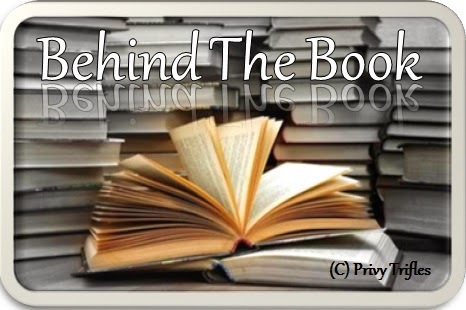 Today at Behind the book, we have none other than the wonderful author Ms. Faiqa Mansab. 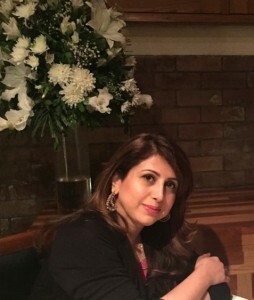 To tell you a bit more about her : Faiqa Mansab received the MFA in Creative Writing with Distinction from Kingston University London, in 2014. Her short stories and an excerpt from her novel were published in The Missing Slate in 2013. She has been a teacher and school administrator for ten years. She has also published in academic journals, and newspapers. Faiqa conducts creative writing workshops when she is not working on a novel. 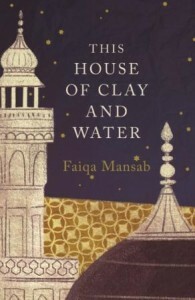 This House of Clay and Water is Faiqa’s debut novel and she is currently working on another one. Hi Namrata, thank you so much for having me. I’ve always been a writer and also been keenly aware that I have to be a good writer. So I guess you can say that writing was something I was always learning to do, and I did that by reading a great deal, and writing a great deal. Most of my early writing was affected and over the top, but that’s part of the process of learning to be a good writer. When you shed the fancy embellishments of language and make it bare and simple, that’s when you’ve really become a writer. Sometimes I feel like I’ve been writing this novel all my life. That’s not true of course, because I started writing it in 2011. And I rewrote it at least three times, which means structural changes, in story and characters. That’s not easy. But I did it. The greatest danger in novel writing is that it takes so long to write, and it might be that circumstances change and you change and you’re no longer the person who was writing that story. So, by the time you get to the editing, you already feel that it’s not good enough, it cannot go out into the world and represent you. But with time, you also learn that no novel is a representation of you as a person or a writer, it’s only just a part of your history, or a part of you in the process of becoming a writer. A novel grows within you, slowly. The story is told by the characters. I always hear my characters first. They tell me the story. So, if a character is not clear, has not revealed themselves to me completely, it takes me longer to write the novel. One must have a strong enough character, at least one, with a strong enough story to sustain the reader’s interest. Writing a novel and reading one demands time and emotional investment. 3. Why romance and history? Love, death and loss are the perennial themes of any good story. There isn’t much history in this novel, but there is a lot of the historical Lahore. I love old Lahore. All the bits that I love about Lahore are the ones that are mostly forgotten, like the Sufi Lahore, the colonial Lahore, the Mughal Lahore. The story somehow evolves in and around all of those areas of Lahore. 4.Writing a book like this definitely calls for a lot of research. 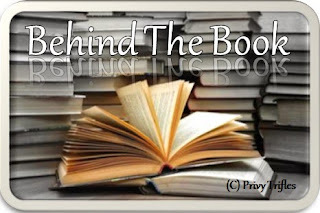 How important is research for fiction according to you? I didn’t think of it as research at the time, because that’s just what I do, although being a flaneuse in old Lahore isn’t easy, I manage to do just that. As a child I roamed the dargahs with my mother, and when I was doing my MPhil from GCU which is very near Anarkali Bazaar and Urdu Bazaar, I’d visit those. All of those walks and visits to shrines was my research. I read a lot too. I watched documentaries on hijrahs. And living in Lahore and going to all the places I just mentioned made it easier for me to observe all the different kinds of people of Lahore. The publishing world is a tough one, but also an unpredictable one. Being a good writer isn’t enough. Basic knowledge of contracts is a must. Nobody gives a damn about you. You have to look out for yourself. 6. Can you please tell us something about your new novel releasing this year? This House of Clay and Water is coming out in May with Penguin Random House India. It’s a thrill every time I say this. This is my debut novel. I wrote this during my MFA creative writing but I honed it in the two years after I’d finished my degree. I sent out nearly 85 queries to UK and US agents, and though most said they liked it, no one was ready to sign me on because they felt it wasn’t ‘right for the market’. Finally, I thought I should try closer to home. There aren’t any literary agents in Pakistan. I sent it to Siyahi and Mita Kapur signed me on. Soon she had an offer from Penguin and Ranjana Sengupta became my editor. I feel privileged to have worked with both of these wonderful women. 7. Given the sensitivity of the subject it must have been very challenging to write this book? Can you share your experiences while working on this novel? God, yes. It was difficult to get Bhanggi’s voice right. I’d already written almost fifty thousand words but I wasn’t happy with the voice of the hermaphrodite, Bhanggi. During my research, I came across a book, a diary Michel Foucaut had discovered while he was researching for one of his own books. He later got it published. It’s called Herculine Barbin. I read the book three times in quick succession. It haunted me. The story is so tragic. And because it’s a diary, it’s so personal, and the reader experiences the confusion and the pain of Alexis, a man trapped in a woman’s body, first hand. That book really helped me get into Bhanggi’s skin and I hope I’ve done some level of justice to that character. Writing is a daring act, but writing the ‘Other’ is especially daring—but strangely, I never felt like Bhanggi was the ‘Other’. 8. What made you write on this topic? It wasn’t a conscious decision I think. It just so happened that my protagonist Nida needed a spiritual guide, and initially I was playing with the idea of Magical Realism and a jinn. But soon I got tired of that theme. But the requirement for the guide-like character remained, and I began to contemplate about eunuchs, who are traditionally thought of as ‘pure’ beings. I had limited knowledge and I am ashamed to say, the first draft of Bhanggi was not of a human being at all. It was only after reading the torment Alexis went through that I began to understand a little of the world of transgenders and hermaphrodites. 9. Any favourite character from this book? If yes, which one and why? Without a doubt Bhanggi, the hermaphrodite. I think in writing this character, I became more human than I was before. My characters tell me their story, and the more I heard from Bhanggi, the more sympathy and empathy I felt. He seems the most uncorrupted of them all, despite everything that happens to him, he remains the most untouched by the taint of evil. 10. Do we see you experimenting with genres? Always. Ha ha. I write with different names precisely for this reason. I love writing and I write all sorts of stories. Some of them are happy, fun, easy reads. 11. Any future projects you are working on currently. Yes, I am. But that’s a story for another time. 12. Any words for your readers and aspiring authors. To my readers, thank you so much for your love. I hope you continue liking my books. For aspiring authors, don’t give up. Keep reading, keep writing and remember those who don’t give up, have a better chance of getting published. 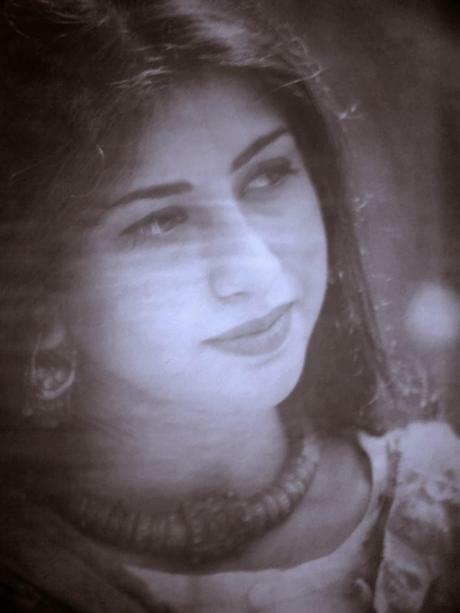 The city of Lahore, with all its masks, is Nida’s home and, she feels, her prison. Her only sanctuary in this concrete labyrinth is Data Sahib’s dargah, where Bhanggi sits under the huge bargadh tree and plays his flute. But it’s not a tune she can heed, is it? She a Begum, and he, a beggar? She a woman and he, a hermaphrodite? Lovely interview, Privy Trifles. Faiqa, congrats! Can't wait to read it. Wish you the very best, Adite.